The dancer turned actor has so far done five films in Malayalam, Tamil and Kannada. When Surabhi Santosh, a classical dancer, performed at Vyloppilly Samskrithi Bhavan in Thiruvananthapuram a few years ago, she didn’t know that the stage was going to be a turning point in her life. Her performance was broadcast on television channels, and she was spotted by wife of Omar Sheriff, producer of Malayalam movie Nivedyam. At that time, he was thinking of remaking Nivedyam in Kannada. His wife collected Surabhi’s contact from a television channel, and the team got in touch with her for reprising Bhama’s role in Kannada. “But, the project didn’t take off due to certain reasons. However, he recommended me for another Kannada movie—S. Narayan’s Dushta, which marked my Sandalwood debut,” recalls the actor her first tryst with cinema. She was then seen in Jatayu (Kannada) and Aayirathil Iruvar (Tamil). “Though the shooting of Aayirathil Iruvar took place in 2013, it was released only last year,” she says. In 2014, Surabhi took a sabbatical to complete her LLB course. Cinema was there in the back of her mind, and she returned to movies on completing the course. That was a crucial moment in her life, says Surabhi. “After completing the course, I got both job and cinema offers. I had to choose one,” she smiles. “I love cinema very much, and I asked my parents for two years to prove myself. I haven't put my mind entirely into cinema before. I told them that if all goes well, I will stay there. Otherwise, I will be back and get a job, and they agreed. Now, one year has gone, and I have completed three movies.” Happiness echoes in her voice. The three movies include Malayalam movies Kuttanadan Marpappa and Kinavalli and Kannada movie Second Half. 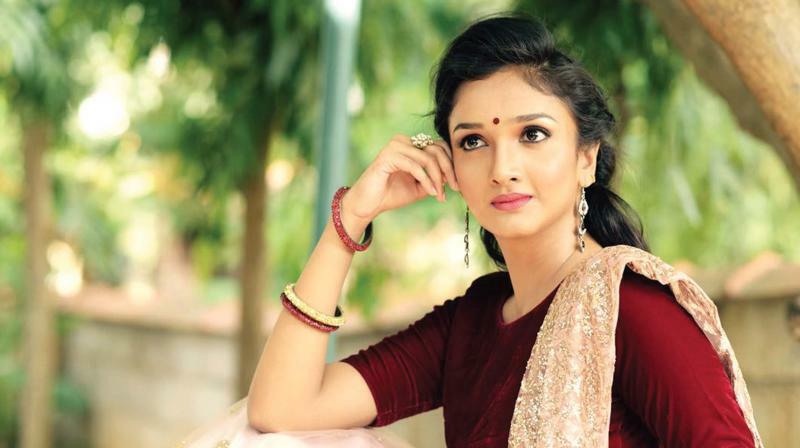 “I am the second heroine in Kuttanadan Marpappa. It's a suspense,” she says. In Kinavalli, directed by Sugeeth, she is one among the six leads. “The lead roles are done by six fresh talents. The movie was a different experience as the character required a different kind of acting. I had to do stunts and dance for the character,” adds Surabhi, who is settled in Bengaluru. “I was born in Thiruvananthapuram. My father was in Army, and hence we had to move to various places with him. Eventually, we got settled in Bengaluru,” says the actor, who dances and travels when not acting. “I go for budget-travelling with my friends. Every year, we try to cover one place in India and abroad,” she says. She has also done modelling for a few ads.